I’m going to come right out and say it: I’m not a fan of Multi Level Marketing (MLM). It’s not just that I’m not a fan of it – it’s that I think it’s completely unethical when it comes to the promotion of health products, and quite frankly detrimental to the future of herbal medicine. If there was ever a debate about the ethics of herbal medicine, MLM would be my nemesis. So what the heck is MLM? It’s a form of network marketing where a business is built upon multiple tiers of independent distributors who promote and sell a particular product. Each distributor essentially runs their own micro business where they recruit, train, and manage other marketers. The initial distributor is at tier one, the marketers he or she has recruited are at tier two, the new recruits that these marketers attract are at tier three, and so on. 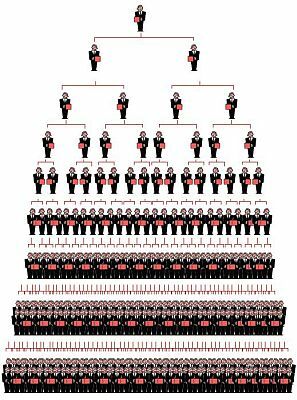 When a marketer makes a sale, the distributors in the tiers above this person earn a portion of the profit so that distributors at the top of the hierarchy make the most money, and those at the bottom make the least money. It’s technically not a pyramid scheme (because those are illegal), but the entire structure resembles a lot like… well… a pyramid. There are many reasons why I don’t like MLM one bit. I find the sales structure to be gimmicky, the marketers to be unethical, and the general mandate to revolve around preying on people in moments of weakness and manipulating them into becoming customers and/or recruiters with the elusive promise of perfect health and lucrative careers. I think it represents everything that is wrong with the health care industry and that it’s largely responsible for many incorrect and slightly ludicrous belief systems around herbs – particularly those that claim that herbs don’t work. So here are the top 5 ways MLM is giving herbal medicine a bad name. If you’ve ever been to a trade show on alternative medicine, then you’ve likely come across salespeople dressed up in lab coats, holding clipboards, and offering free health analyses. At first glance they might appear to be a health practitioners sharing knowledge and offering assistance, but scratch beneath the surface and you’ll soon learn that the representatives know absolutely nothing about health, are handing out computer generated questionnaires with computer generated answers, and have the sole aim of selling products. Besides the blatent misrepresentation of appearing like health practitioners, MLM marketers also offer convincing and passionate speals – replete with pre-digested research and catchy soundbites – that promise everything from healing warts to curing diabetes. And tragically, due to their indoctrination into the company rhetoric (and subsequent dismissal of critical thinking skills), they may actually believe what they’re saying. Since MLM companies have cut throat sales tactics, customers often end end up taking the wrong herbs with improper dosages and unrealistic expectations. MLM companies often rely on circular logic using a family of scientific studies that all cross reference one another, are all paid for by their marketing team, and are all designed to produce favorable outcomes. When studies are funded by companies with an agenda to promote products, not only is it a gigantic conflict of interest, but it no longer even qualifies as science, which by definition must be objective. This “designer research” is very pervasive in sales and marketing, especially in regards to Oxygen Radical Absorbance Capacity (ORAC) values, which are shockingly easy to manipulate and misrepresent. And not all press is good press. Just because these findings on herbal medicine are positive, it doesn’t mean they’re accurate. And inaccurate information compromises the integrity of the herbal profession. When consumers buy into these falsely marketed products and/or sign up to sell them, they are inadvertently supporting the misrepresentation of herbal medicine. Another sales tactic used by MLM companies consists of using personal testimonials to sell products. There are so many products out there that make massive health claims and promises, yet only offer testimonials to back up their claims. People giving testimonials are often customers getting kickbacks from the company in exchange for their soundbites, or marketers with stories of how the products transformed their own health. Testimonials are meant to elicit an emotional reaction by appealing to a person’s sentiments rather than logic. It’s an easy way to manipulate people into buying a product without offering any solid evidence. There’s absolutely no way to verify the credibility of testimonials. MLM companies seek to convince customers that they have an unprecedented proprietary blend developed using cutting edge technology, and worth the exorbitant price tag attached to it. In reality, it would be much less expensive (and much more effective) to see a registered herbalist who could formulate a personalized remedy or recommend high quality herbs that can be purchased at a local health food store for a fraction of the price. As the late master herbalist Michael Moore so accurately stated: “You can get the same effects from 100 different variations of various herbs… the vast majority of physiologic reactions produced by herbs are repeated over and over endlessly in different plants… formulas are the least important part of herbalism.” There is no one proprietary blend equivalent to a panacea – personalized medicine is not only more effective, but also relies on true skill and expertise rather than shady science and gimmicks. Perhaps the most upsetting aspect of MLM is when physicians or other health practitioners recommend products to their patients or clients that they also represent through MLM. For health professionals to use consultation time as an opportunity to promote products that they sell through a network marketing arrangement is like charging someone to become a customer. It is an abuse of trust, and a massive conflict of interest. Yet more and more doctors, both conventional and alternative, are doing just that – using MLM as a tool towards financial freedom. 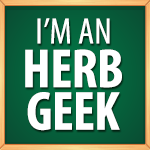 I always get a kick out of quackery websites that claim that “herbs don’t work.” How could herbs possibly NOT work? Human civilization has been using herbal medicine for 100,000’s of years. Herbal medicine is the basis for modern medicine as we know it – never mind the fact that countless pharmaceuticals are synthesized based on plant chemical structures. Clearly anyone with any understanding of history would not make such a baseless and proposterous statement. 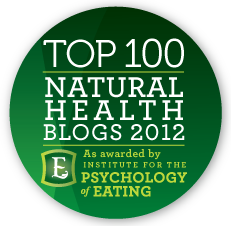 Yet, there are still those who remain skeptical of the validity of herbal medicine. And as long as there are MLM companies misrepresenting herbal products, science labs churning out designer studies, and health practitioners choosing money over medicine, there will be ample fuel to feed this fire of misinformation. Well said!! And needed to be said. Well said. I have no patience for these kind of schemes when it comes to people’s health. Hopefully people will learn to differentiate between reputable herbal medicine and the panacea pushers. # 6 In order to function, MLM’s must trash all competition. Generally it isn’t good enough to just tell the customer why their product is good. They terrorize customers into thinking that any other product out there is dangerous or poor quality. Well said. I’ve always felt uncomfortable about MLM – and just the other day someone was trying to convince me how wonderful the young living essential oils are, brought out the huge book they have describing the oils, all of it, and it made me want to run the other direction! Thanks for taking the time to spell out what it is about this approach that is unethical. Last year I would have agreed, but then I actually tried one and now I disagree. I am not saying they are all great. But I won’t make a blanket statement that they are all bad. Not anymore. This is really a blanket opinion. While I totally understand your skepticism and at one time would have agreed with you. I personally am of the opinion that it is much like those who practice alternative medicines or chiropractic care, and many other such things, for that matter. There are people of character and those who choose to care more about themselves than others. When choosing who to trust and who not to trust, we are given discernment and wisdom. It’s our job to use it! Just because one person abuses something, does not make it ALL wrong! Thank you for the article. It gives a lot to think about. I have to agree with Jennifer Sara though. I know unethical people in all sorts of industries and professions. True there are many MLM products that are horrible, but not all of them are. A few of them are incredible. I do think it is wise and fitting to be cautious, but that is different than being cynical and closed off. We have minds for a reason. We have the privilege of using discernment in judging each situation. To say all MLM products are bad would be applying the same lack of critical thinking skills some of the MLM professionals apply. Thank you again for the article. Great discussion. I too have tried MLM.. Some I found thru exprience were not as good as claimed… SO IT depends on the Products and the PEOPLE SELLING them. I SELL WITH HONESTY AND INTEGERITY! Agree. MLM is a pyramid scheme. It gets off on a technicality. Realistically, it falls apart if no new people are recruited. And that’s a symptom of pyramid scheme.